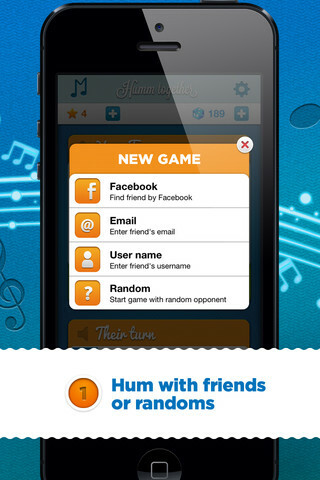 Humm Together is an iPhone game developed by Above the Clouds, Inc. 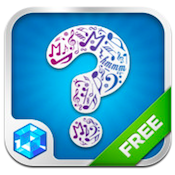 Whether you’re a musical master or totally tone deaf, this game is great fun for players of all ages. If you’ve ever played the board game Cranium, you are probably familiar with the Hummdinger challenge. In that challenge, you have to hum a song, and your friends have to guess what song you are humming. Humm Together is the same idea, but with a social, digital twist. Much as you would with games like Words with Friends, you start a game of Humm Together by choosing Facebook friends, email contacts, or random users to play against. You take turns listening or humming the chosen tune. You can guess based on multiple choice, or ask for a hint. While the “play to unlock” formula works well for video games, it’s a bit frustrating in Humm Together, simply because people are so divided about what they listen to, or have even been exposed to. It would be more fun if more categories were available to start with. I was surprised at how stable the app was: there was no lagging, and no crashes or stability issues of any kind. Humm Together ultimately feels expensive, despite it’s low low price. Nervous about your voice? 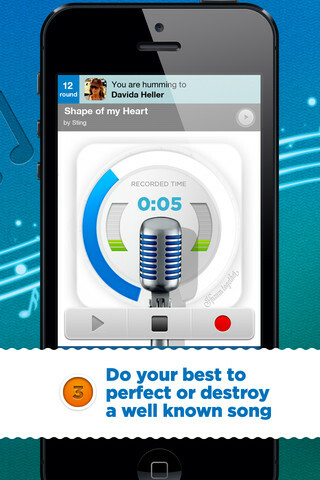 You can change your voice to sound like a rapper, or even an opera singer. 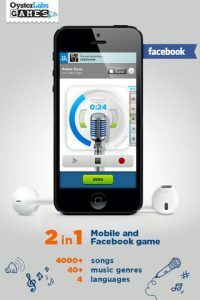 Think of this iPhone game as Draw Something, but with your voice as the artistic medium. Humm Together may not be quite perfect, but it is a TON of wholesome fun. 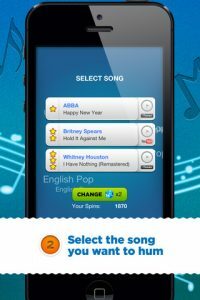 Humm Togetheris compatible with iPhone 3GS, iPhone 4, iPhone 4S, iPhone 5, iPod touch (3rd generation), iPod touch (4th generation), iPod touch (5th generation) and iPad. Requires iOS 4.3 or later.